I’m a follower of Chuvaness’ blog. 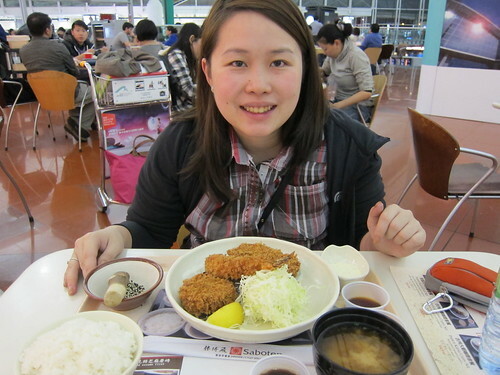 One of the restaurants she has blogged about is Saboten, which is famous for their pork tenderloin. Having tried YABU, I wanted to see what made this restaurant different. I heard someone’s bringing it to Manila this year. Luckily, our flight back in Manila is with Cebu Pacific which is located in Terminal 1. 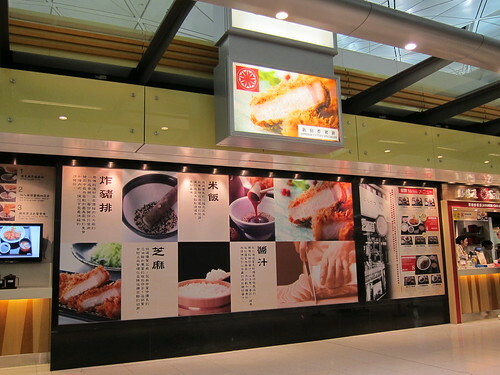 Terminal 1 is where Saboten is located. Its located on the 2nd floor beside Ajisen and McDonald’s. 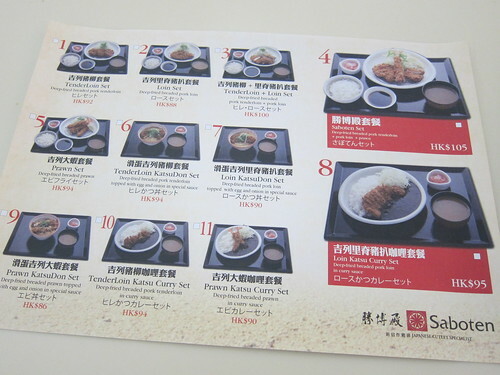 I decided to order the Saboten Set – HKD105. The Saboten set includes their pork loin, their pork tenderloin and a breaded prawn along with rice, soup and pickles. 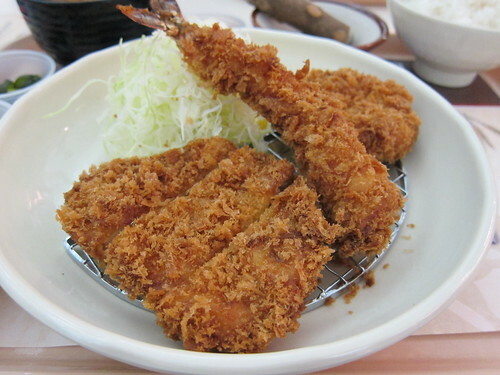 I liked this better than YABU. The price is somehow similar though. The tenderloin was definitely tender and is worthy to be considered a ‘wagyu-like’ pork. Oh, and do you ever read the Sunday China Post? I work there and we have an expat corner on Sundays where we ivirentew expats on their experience in Taiwan. If you would be up to it, I’d love to get you on that page, mention the blog, which I think plenty of people would find interesting. Would you think about it without saying ‘no’ right away? It’s just a fun thing.